When you were a kid did you love scratching doodles and making scratch art? I did. It was such a cool concept to be taking away material rather that drawing it on. Well I couldn’t believe how pretty, upscale and elegant these recycled cds looked using the same concept as the old kid craft. 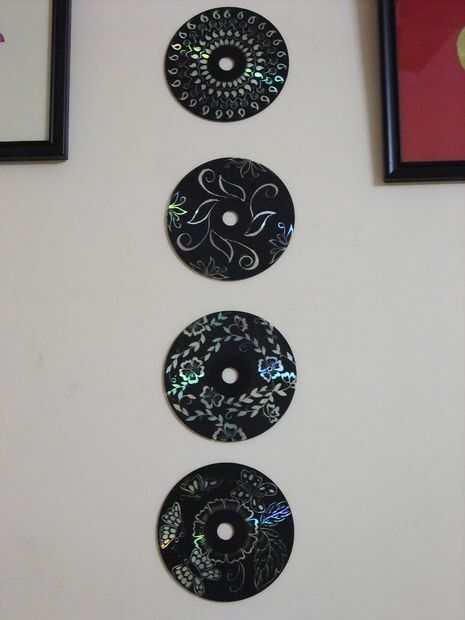 Pop on over to Instructables for the easy tutorial on how to make recycled cd scratch art.